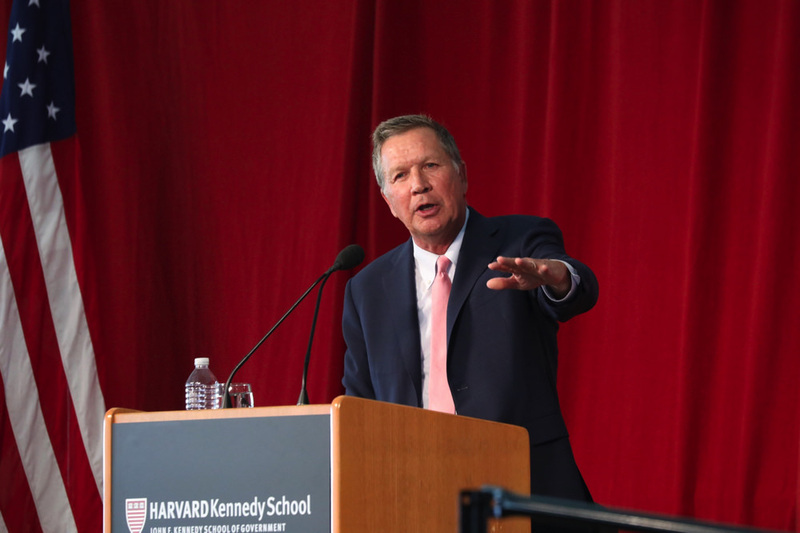 After encouraging the imminent graduates to treat one another with respect, a value Kasich said has been missing from many facets of public life these days, he continued to describe how faith can play a critical role in finding life’s meaning. “I want to tell you what I think it means to put forth and try to adopt the character of our Creator,” he explained. “Whether it is Old or New Testament…if you search that book, you will find that it is all about love. It is about compassion. It is about humility. It is about forgiveness. It is about responsibility. It is about justice. It’s about personal responsibility. It is fundamentally about living life a little bigger than ourselves.